It took forever for me to finally sit down and write this pattern but it is finally here. I haven’t really been designing much lately, in a bit of a dry spell at the moment. Have many ideas but haven’t been able to bring myself to start any of them. It takes quite a while for me to get to a finished object for my designs and I think I needed a break so have been enjoying crocheting other people’s designs for a bit. I have a couple that I should start since the yarn is waiting there for me, but I am definitely taking things a bit slower when it comes to designing. 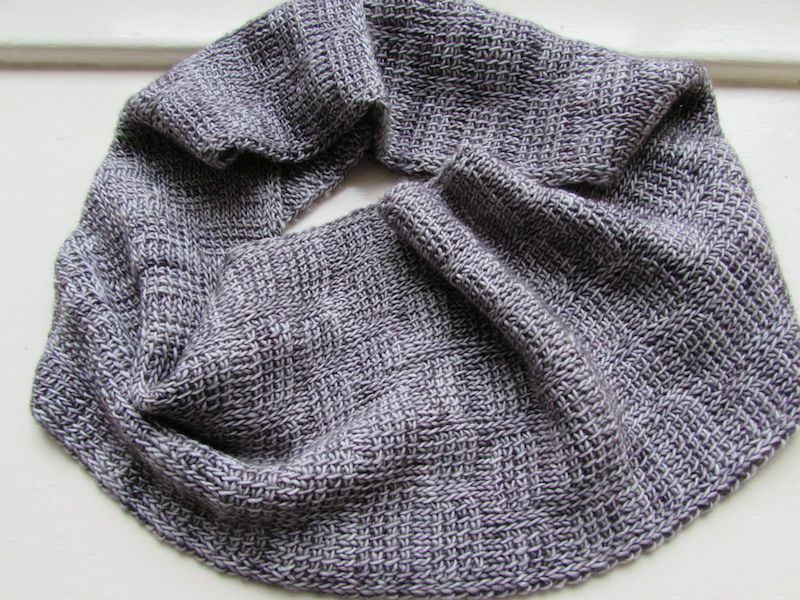 I love this cowl so much, it is one of my favourites along with my Uva shawl. 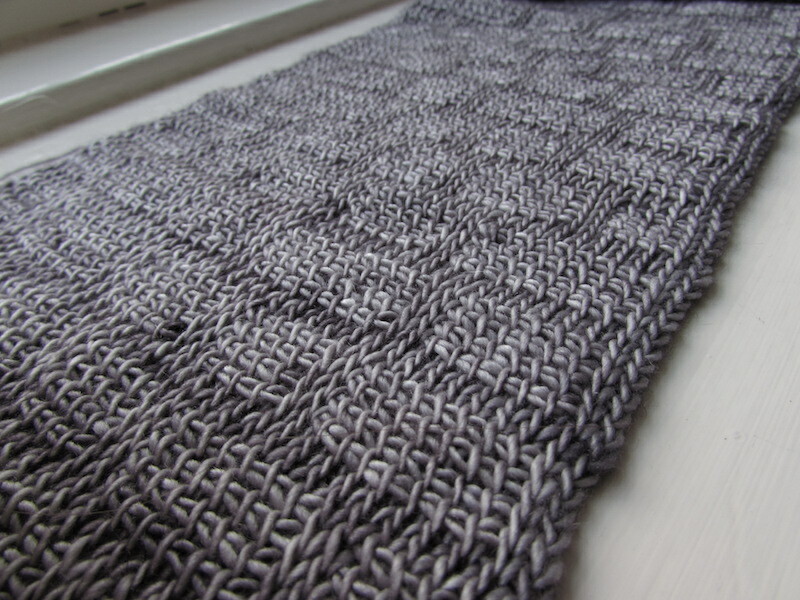 As I mentioned in my ta-dah post this cowl is inspired on the beautiful cobbled streets in Edinburgh. It is a very simple tunisian pattern, uses two stitches and I have created an easy chart for you guys to follow. 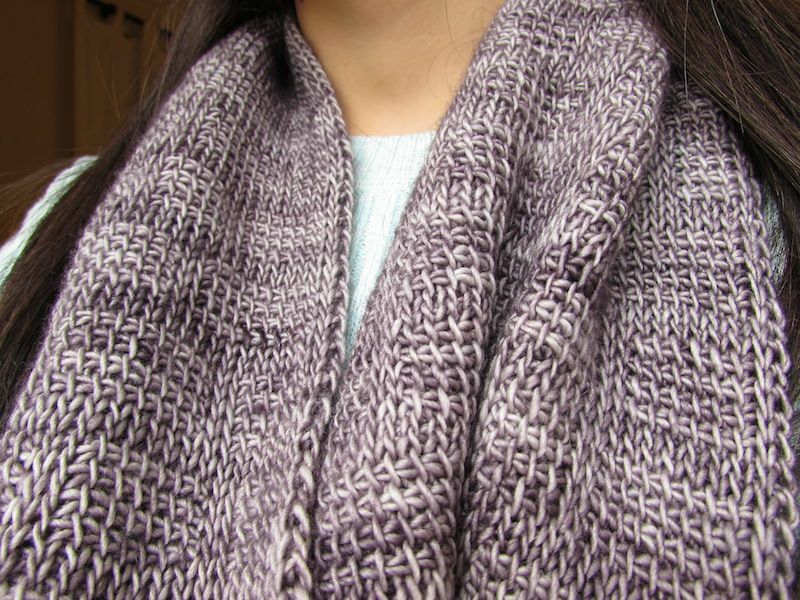 I would even recommend this as a first pattern for those who are learning tunisian: it uses basic stitches, no increases or decreases and you only need one skein of yarn. How perfect is that? The yarn I used is Madelinetosh Merino Light, it is a lovely yarn to work with and it feels even nicer after blocking. I was left with a bit of yarn from my skein but I liked the length so stopped there, it measures 18cm wide for 86cm long before joining both ends. Gauge is not really important but in case you are interested each pattern repeat (Rows 1 to 24) measures 18cm x 11.5cm. Foundation forward pass: Insert hook on back bump of second ch from hook, YO and pull up a loop, *insert hook on back bump of next ch, YO and pull up a loop, repeat from * until last ch. Return pass: YO and pull through 1 lp, *YO and pull through 2 lps, repeat from * until you have 1 lp on hook. Tunisian Simple Stitch (Tss or | in chart): Skip first stitch, *insert hook from right to left under next front vertical bar, yarn over and draw up a loop; repeat from * across until last stitch, work last stitch normally. Work return pass. 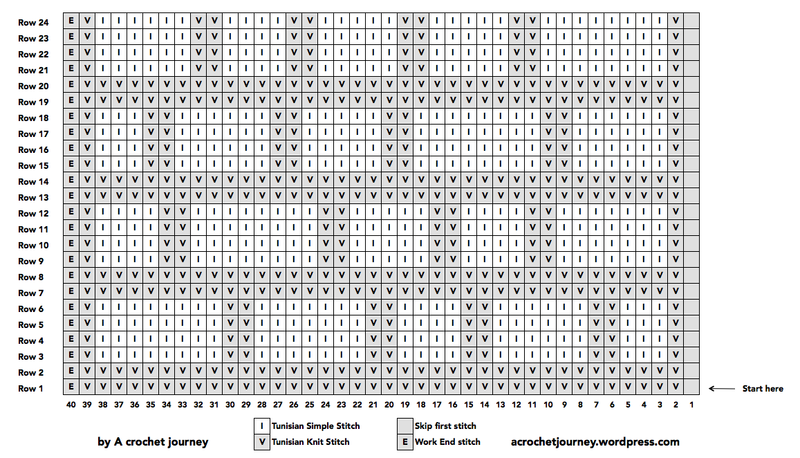 Tunisian Knit Stitch (Tks or V in chart): Skip first stitch, *insert hook between front and back vertical bars of next stitch, yarn over and draw up a loop; repeat from * across until last stitch, work last stitch normally. Work return pass. End St (E in chart): Last st of the forward pass is made into ch created by the return pass. Insert your hook under the vertical bar where you usually do it AND the strand behind it and pull up a loop. Binding off: As with every row you start with one lp on your hook. For each stitch, insert hook as normal (depending on whether it is a Tss or Tks), YO and pull through both loops (through the st and the loop you had already). Continue until the last st.
Ch 40. Work foundation forward pass (40st, each lp on the hook is a st). Work return pass. Row 1 to 24: Follow chart for each row, reading it from right to left and from bottom to top. The chart indicates which stitches you must work in the forward pass. Work the return pass normally for each row. Rows 25 to 192: Repeat Rows 1-24 seven times for a total of eight repeats. When you are in your last row work the binding off as you follow the pattern (see stitch guide). You can continue the pattern if you still have yarn to your desired length. Fasten off but don’t cut yarn. Use mattress stitch to seam the two ends together. Weave in ends. Hi, I’m having trouble finding the chart in order to follow this pattern. 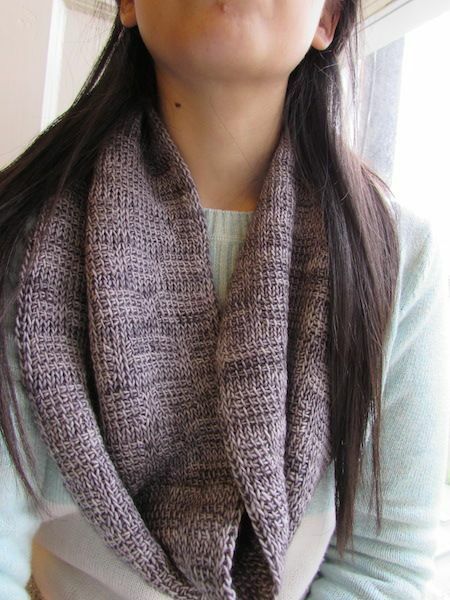 Would I be able to do this design using a dk/light worsted yarn? I love the design but am unsure what hook size I should go to if u can use my thicker yarn.